Next at number 22 of the Top 25 Must-Play Video Games we have Syberia, a charming game that is chock-full of adventure and pleasant surprises! Benoît Sokal and Microïds’ 2002 third person, point and click, adventure game for the PC (iOS and Windows), PS2, Xbox, Nintendo DS and Smartphones – Syberia. 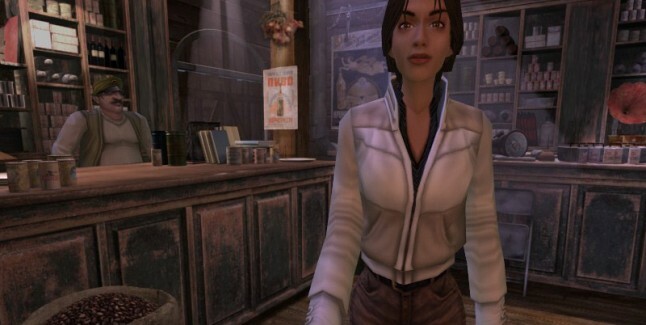 Syberia follows playable character Kate Walker. She travels to a remote French village and on behalf of the law firm she works for, attempts to finalize the take-over of a Toy Factory. Shortly after arriving however, Kate discovers that the owner Anna Voralberg has died. The only way she can proceed with business is to contact Anna’s brother. But the new owner of the spring automaton business is nowhere to be found leaving Kate to travel across central and Eastern Europe, in a search for Hans Voralberg. The story is a wonderful basis for this charming game, its visual design too is what makes Syberia really stand out and put’s it in our Top 25 Must-Plays. 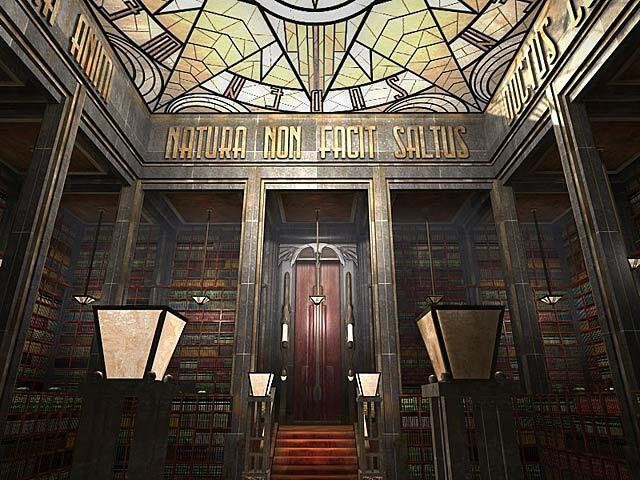 Syberia seamlessly combines elements of art nouveau and steam punk in its visuals and story. The game is rich in colors and textures too and has a timeless yet ‘old-world’ feel. And its all about the little details; the automaton that tips his hat to you or rings the counter bell are just two examples of many enchanting touches. But this game isn’t all about luscious visuals; Syberia is an engaging story with well-crafted characters and story-arcs, especially in the case of main character Kate Walker. And how could I forget the show-stealing automatons? They are simply inspired and help to develop this delightful title. Syberia breathes some much-needed life into the adventure genre. 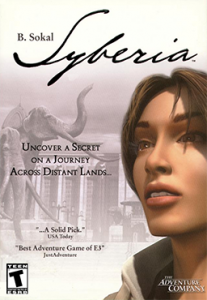 A classic point-and-click game with fully rendered, cinematic cut scenes, Syberia is a real marvel that you can’t help but treasure. Interested in this game? Try Play.com for new and used copies of the game (UK) or Amazon.com for some greats deals (US). And don’t forget, Syberia is available on PC (iOS and Windows), PS2, Xbox, Nintendo DS and Smartphones.